The very successful Australian Testing Days 2016 conference helped the TEAM gain tremendous respect in the community. Many conferences offer meaningless gifts to speakers, instead we made a large donation on the speaker’s behalf to BeyondBlue. So, when Epic Assist approached me for support in spreading their message about hiring employees on the autism spectrum, I was excited to have the opportunity to help. I was in the process of planning the 13th TEAM meetup, and I had Aaron Hodder presenting his strategic mind-maps to the attendees. 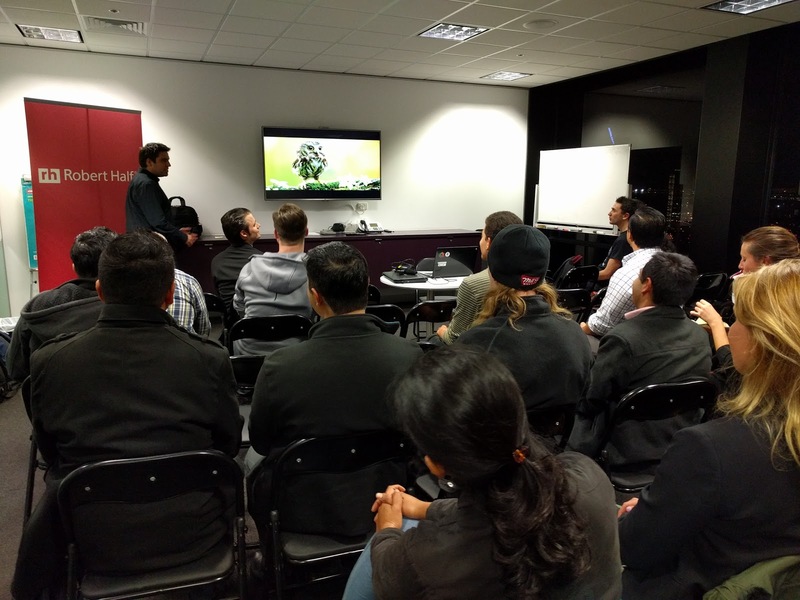 Aaron was visiting Melbourne for a speaking session at Agile Australia and he was eager when I approached him with the idea of him delivering his well received Australian Testing Days 2016 talk again at our meetup. On 21 June, the 13th TEAM meetup took place at Robert Half Technology. 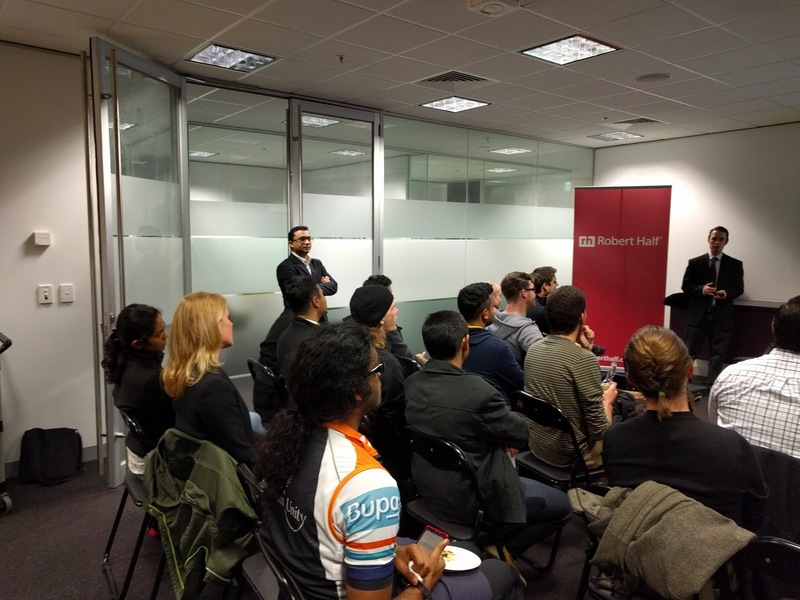 Richard Neville from Robert Half has been very supportive at sponsoring our meetups at his centrally located office in the city. As always Robert Half arranged plenty of food and drinks for the attendees arriving at a cold and wintery night. Paul Crimmins was the emcee for the night. He introduced TEAM and the agenda for that night to attendees. The first talk was from Zach Zaborny of Epic Assist. Epic Assist is a not for profit organisation that works with people with both visible and invisible disabilities, including those on the autism spectrum. It assists people on the Autism Spectrum to find meaningful employment. The organisation not only helps people in finding employment, it also trains and educates them so that they can be successful during their employment. People with Autism may find it difficult to operate in a corporate environment and may require extra support. Epic ensure that someone from their team stays with the employee until their assistance is no longer needed. Their engagement also helps employers in understanding the needs of their new employee. Zach shared his own story with the attendees. A prolific speaker, Zach was diagnosed with Asperger Syndrome at 8. How he went through the struggle, many of us can’t understand. His presentation was hilarious, heartfelt and touching. Zach said that the individuals on the autism spectrum are loyal, like structure, are hardworking and focused and can be great employees. He shared some tips for interviewing someone with ASD and also explained the employment barriers for people with ASD. Zach’s talk was a very informative talk and it was received well. After a short break, it was time for Aaron’s much anticipated talk. Many attendees had not attended ATD2K16 and therefore were excited to hear Aaron. His talk was about using Mind mapping software as a test management tool. Aaron started his talk by sharing his story of becoming a skilled tester and joining the CDT community. When he started in testing, he found himself a misfit among other testers he worked with, mostly because others believed that there was a single right way of doing things. Aaron’s talk was engaging and educating. He spoke not just about his subject matter, but he also demonstrated how he does what he was talking about. His mindmaps, which he rightly calls information radiators, were truly informative and valued. One of his slides explained why testing is not just about creating and following steps. It said,”Testing is NOT a series of steps; it’s a multithreaded series of activities that are mutually supportive”. This meetup was one more successful event for the local testing community. While we inch closer to TEAM’s first anniversary, we have already planned for some really interesting meetups in the next few months. Check them out at http://www.meetup.com/TestEngineeringAlliance/.